“You’re meeting all these actors and actresses of yesteryear. Have you met Sheila Vaz?” an old school friend, Eddie (Edward Anthony) asked me. I had to say no but my mind was already ticking and images of Ramaiya Vastavaiya, Leke Pehla Pehla Pyar, and Thandi Thandi Hawa were flickering before my eyes. Yes, Sheila Vaz was someone I definitely did want to meet. 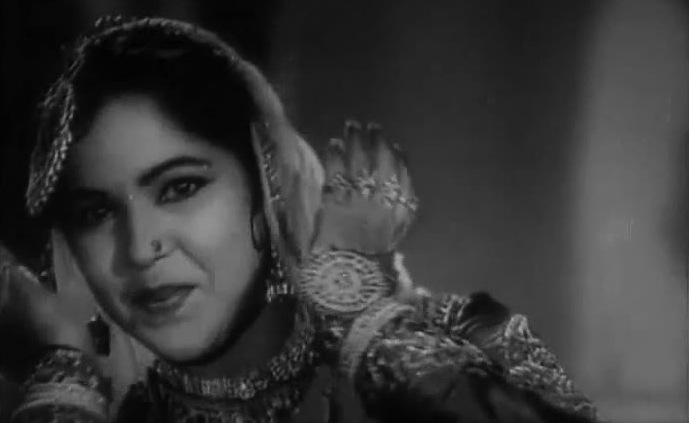 Sheila Vaz was a dancer in Hindi films from 1953 – 1960. She was born and brought up in Bombay in Dadar, her family hailing from Goa. Taking to dance and unusually to Indian folk dance, she had to overcome initial resistance from her family before entering films. Beginning with Kishore Sahu’s Mayur Pankh (1954) (though Kidar Sharma’s Gunah (1953) released earlier), she danced her way through a whole lot of films right till 1960 when she quit after her marriage. Some of her important films included Shree 420 (1955), where she danced memorably not just to Ramaiya Vastavaiya (by far her best known song) but also to Dil Ka Haal Sune Dilwala, CID (1956), Johnny Walker (1957), Tumsa Nahin Dekha (1957), Mr X (1957), Solva Saal (1958), Kaagaz Ke Phool (1959) and Bahana (1960). I wondered where and how Eddie knew of Sheila Vaz since he is certainly not into Hindi cinema and certainly not classic Hindi cinema and here he was telling me about an actress – dancer of the 1950s. Turned out she was his wife’s sister’s mother-in-law. Thanks to Eddie, one contacted her son Rohit Lakhanpal and through him, spoke to Sheila Vaz, who is living a content and retired life as Rama Lakhanpal today. Extremely warm on the phone, she immediately gave one time to meet her. As I have mentioned a few times on this blog, I am working on researching a project on the golden age of Indian cinema along with my filmmaking colleagues Shivi (Shivendra Singh Dungarpur) and Arwa Mamaji and with Arwa away in London, Shivi and me promptly landed up at her Juhu residence at the appointed time. It was needless to say a wonderful, wonderful meeting. Having aged ever so gracefully, elegance and graciousness are what describe Sheila Vaz best. Not just for us, she was nevertheless glad to go down memory lane herself as she told us how not knowing Hindi, she was given the songs in Roman script and explained their meaning so that she would know what expressions to give! She was full of interesting anecdotes regarding the shooting of Ramaiya Vastavaiya from Shree 420 and Leke Pehla Pehla Pyaar from CID, choreographed by Zohra Sehgal, and which was filmed on Worli Seaface in a day! She was extremely grateful that she was fortunate enough to have worked with legends like Kidar Sharma, Raj Kapoor and Guru Dutt. In fact, she recalled how Guru Dutt had intended to give her a full-fledged role in one of his films but by then she had decided to get married, quit films and settle down. Her face lit up as she told us that even today when her songs are shown on TV, youngsters and neighbours come up to her and tell her how much they liked her dances! Tragically, however, she had lost all of the memorabilia of her days in Hindi cinema as her ground floor flat got flooded in the July 26, 2005 deluge. But trust Shivi to do the needful. He not only traced out a still of her from Shree 420 and got her to autograph it for us, but also gave her a whole lot of copies of the photograph so that she could give her other fans autographed photographs of herself, if they so wanted. As usual, after each of my meetings with these luminaries of Hindi cinema’s golden age, the one big, nagging thought I always have is – why, why was I not around to make films then?! She looks a lovely, old lady. Wish you’d put up a picture of the Shree 420 still too. Didn’t know Zohra Sehgal choreographed for Hindi films! Zohra Sehgal was an instructor at Uday Shankar’s dance school in Almora and taught Guru Dutt among others. She did the choreography for his first film, Baazi (1951), as well his production, CID (1956). She also did choreography in other films in the 1950s like Farar (1955) and Nau Do Gyarah (1957). @Monish: Yeah, she is quite a happy and contented lady today. And such warmth and grace. They don’t make ’em like that anymore! @Ram: Quite amazing, isn’t it! I couldn’t believe it when she told us the entire song was done in a day. @ Memsaab: Always nice to get your feedback and comments. Thanks! Nice piece as usual – one that evokes nostalgia for the golden age of Hindi cinema. Sheila Vaz (Mrs Rama Lakhanpal) seems to be a beautiful and happy old lady who has adjusted very well to life away from the spotlight. Also amazed by the info that Leke Pehla Pehla Pyaar was shot in one day – what talent and efficiency! Yea, it is really surprising to know that ‘Leke Pehla Pehla Pyaar’ was shot in a day – it never shows on the screen. 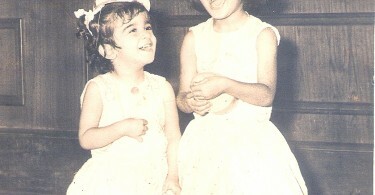 I just saw her in Solva Saal…thanks for this, it’s great to see that she’s happy and has good memories. Ahhh… must be fun to listen to her and the stories about the great legends she worked with. You must do a piece on Zohra Sehgal. She’s quite something, isn’t she? Sadly, I was not there when Shivi met her in Delhi a couple of years ago. All I have is the transcript of the interview to go by. Interestingly, when asked about Guru Dutt, she said the first thing she noticed about him in Almora (he was just in his teens then) was that he was so totally in love with himself! Interesting piece… but what I found most interesting was Zohra Sehgal’s remark about Guru Dutt! @Irene: Thanks. Yes it was quite a revelation and explained a lot about Guru Dutt. As we researched more and more into his life, he was actually a born performer who loved attention and the whole image of the reluctant actor is not really true. In fact, after Baaz flopped, the distributors asked him to replace himself with Shammi Kapoor in Aar Paar. But Shammi Kapoor realizing Guru Dutt really wanted to do the film, cited date problems. Shammi Kapoor told us that at the Aar Paar premiere, Guru Dutt thanked him for for refusing the film so that he could do the role himself. Very interesting! especially about Zohra Sehgal and the song. I have the pleasure of not only knowing Sheila Vaz well, but being related to her. She is my godmother. I can vouch that she has always been gracious and affectionate. Thank you for recognizing her talents today. Thanks for your feedback, Pramila. Since watching Ramaaiya Vasta vaiya I was searching for a article on Sheila Vaz. Thanks for giving us such an insight on such a personality. Thanks for your feedback, Anup. Yes, it was a wonderful meeting with her. She truly has immortalized a lot of songs picturised on her! She danced very beautifully and she had the most sensuous lips! With such a voluptuous body there was no vulgarity at all! Apologies for posting it so late. It was a pleasure to see that there are some nice guys who would care for the faces of yesteryears like Sheila Vaz. Yes, in that dance sequence of Ramaiya Vastavaiya, the only face which lingers in your memory is the refreshing face of Sheila Vaz. Sad she did not continue in the golden era of 60s. Wish I could convey my best wishes to her. Anyway, thanks for the wonderful piece of information. आपकी वझ़हसे नाम व आज कैसी है, पता चला. बहोत धन्यवाद. Sheila vazjis dances like leke pehla pehla pyar, ramayya vasthavayya, tu jiye hazard saal gori, jawani jalake de etc. are a treat to watch. The cinemas at that time were blessed with the graceful dances of such a wonderful person!! It was Shyam Kapoor who moved his lips to the male part of the song. Shyam was Guru Dutt’s assistant director who also acted in Aar Paar (1954), Pyaasa (1957) and Kaagaz Ke Phool (1959). what is the date of birth ,month and year of SHYAM KAPOOR , assistant director of GURU DUTT ? I am now 72 but still fond of watching golden age songs and films through various channels on TV. Just today when I was watching Ramaya vastavaiya, I immediately thought of the beautiful dancer in the song. I said to myself that I saw this lady in so many other songs, but never thought of finding who she was. Thanks sir! for providing such heart warming information and posting the recent photo of madam Sheila Vaz. Heard “Ramaiya Vasta vaiya” song today once again. The lady dancing in the song with Raj Kapoor and others was very beautiful, charming and gracious. I could not imagine that i would be able to know who she was. But thanks to google. It provided so many information about her instantly. It’s amazing! may i know how old sheila vaz today ? what is her date of birth ,month and year ? Her date of birth is 18th October, 1934. I watch all Indian movies from Alam ara to Krishh and in as many Indian languages. Dance from old Indian movies are so soothing and you get an immediate connect with Indian culture. Among all the dances from Waheeda to Vyjayanthimala, I see more often Sheila’s dance to get calmness and peace of mind. Though Nimmi was my favourite, for long years, Sheila vaz, the dancer I was trying to identify in the CID 1956 movie song Leke pehle pyaar with an almost silky movement, a rare skill and very gracefully done. Ramaiah vastayaiah is also good but probably did not get the best from her, though song itself was lyrically good. If someone can post all the dances of Sheila vaz in You tube it will be a tribute to her. A wonderful actress n danseuse, Respected Sheelaji has .esmerised me and others hundred times with her unique n creative dance number in lekar pehla pehla pyar.I have enjoyed her dance moves in this song 500 times and remember her with respect n kind affection. Karan Bali thanks for the write up on the dancing diva, Sheila Vaz alias Rama Lakhanpal. She is a very highly talented dancer. Fantastic expressions too, more so, because she did not understand any Hindi. Who is the lead male dancer in the song Ramayya Vastavayya? Very fortunate to know about this great legend lady..Sheela Vaazji..so dedicated performence especially the dance number..leke pehala pehla pyar..in C.I.D.Thanks to Gurudutt..saheb. to give the role to sheelaji..
Karan sir thank you very much for providing these information.I am big fan of Sheela ji. 2 other songs of Sheela Vaz are Chhupne waale saamne aa Yoon Chhup Chhupkar mera jee na jala.from Tumsa Nahin Dekha. And Suna hai jabse mausam hai pyar ke khaabil machal Rahe hai armaan Laraz raha hai dil from Ramu Dada. Theh dance is Singaporean. Please ENJOY. Is the actress in Suna Hai Jabse Masuam actually Sheila Vaz? Cannot believe because she is so thin in this song that was sung by Kamal Barot for the 1961 starrer Ramu Dada. My utmost respect to her. You’re right. It is a wonderful song indeed! Every time I see ramaya vastavaiya song,I admire the dancer in black dress.She is very energetic and in tune with music . All Her movements are prefectly synchronized with rythm .It is fasicnating to watch this song again and again. I salute you madam.you and your dance are the best.stillnow I like your two dances one is Tum sa Nahi Dekha and second is leke pehla pehla pyar.? what is the date of birth ,month and year of ” SHYAM KAPOOR ” who acted in C I D MOVIE in the song O LEKE PAHELA PAHELA PYAR ALONG WITH ” SHEELA VAAZ ”. I read somewhere that the song Le ke pehla pehla pyar was picturized on Shakeela, a Babuji Dheere chalana fame. Now I read here that it was Sheila Vaz. I am confused. Well, both feature in the song. Dev Anand follows Shakila, while Shyam Kumar and Sheila Vaz perform the song.